As things go in the B2B industry right now, data remains to be a key ingredient in business. For sure, major players, as well as startups, will have to realize the value that data can provide to the bottom line. 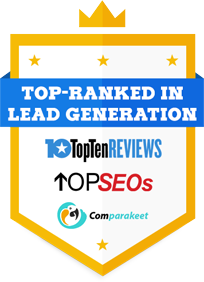 More than ever, businesses that want to compete for leads will have to come up with a data-driven marketing approach that will deliver the best results in lead generation. Still, the challenges to a more data-centric strategy still remain even though a good 80 percent of marketers consider data as a crucial component in their promotional activities. Despite the fact that a majority of marketers are seeing great potential in using data, reliability and accuracy continue to prevent businesses from accomplishing their goals. What’s more, adopting a data-driven marketing approach is an issue in and of itself, requiring B2B companies to make significant changes in the way they deal with their clients. This would involve breaking from routine marketing approaches and embrace methods that work out for the best. Here are just some of those methods. The demands of clients are ever evolving, and companies will have to make an effort in adapting to these demands rather than to just flow with it. For sure, marketing trends are ever-changing, and you will see yourself implementing adaptive changes. In other words, you will be in a constant search for individuals who are capable of handling current technologies and understanding the present business terrain. Marketing is slowly shifting towards data (or rather, it already has succumbed to data! ), and this brings up the need for B2B enterprises to build teams that have a thorough understanding of marketing analytics and market intelligence to help you build effective strategies. After all, as more and more organisations handle an increasing volume of data, they will have to get the best talents to help them get around the intricacies and go straight to what needs to be done. Your business thrives on your numbers, so it is always best to keep your eye on the figures that show you how you are performing. Still, marketing metrics is not every bit fun compared to content marketing. But crunching up and analysing these numbers is essential to creating an effective audience outreach approach. You just have to know which metrics to use to gauge your brand’s successes. Ignite Digital Founder Matthew Goulart was able to list the most important metrics in an article posted on Entrepreneur. For him, creating effective strategies should be based on ROI, cost-per-action, returns on advertising spend, customer lifetime values, and customer retention rates. By focusing on these key metrics, organizations can improve their messaging and, eventually, open up more opportunities to get quality leads. Your IT infrastructure determines how you are going to implement your strategies. Without effective software and equipment, you would not be able to realize your most crucial goals. Data-driven marketing approach requires a considerable investment in technology for it to be able to work out for the best. For this alone, it matters a lot to select IT solutions that will surely unlock your campaign’s potential. It’s only a matter of engaging IT firms that offer efficient automated marketing solutions. And as the IT sector is pivoting nearer towards the B2B industry, you can bet you will find a contractor that’s worth it. A word of advice: Aim for those companies that make use of behavioural marketing approaches. The choice of a marketing channel is vital to engaging the right audiences. For one, every demographic behaves in certain ways, and this little-known fact should prompt you to find a marketing channel that offers the best numbers in terms of engagements. For a start, you can identify social media platforms that are normally used by certain groups. Being able to observe the way they interact in these channels enables you to create relevant and engaging content. A good way to approach this is to insert your brand into important conversations. Observe proper timing and you will be able to open up as many opportunities as you can handle. Find new customers and increase repeat business using Callbox Multi-channel Marketing Strategy!